Is it really that weird for squirrels to be wearing underpants? Those little devils have been causing havoc for generations, streaking around the forests as they wish. Grab this forest fresh scent air freshener, which comes with a string and an illustration of a civilized squirrel in modest attire. 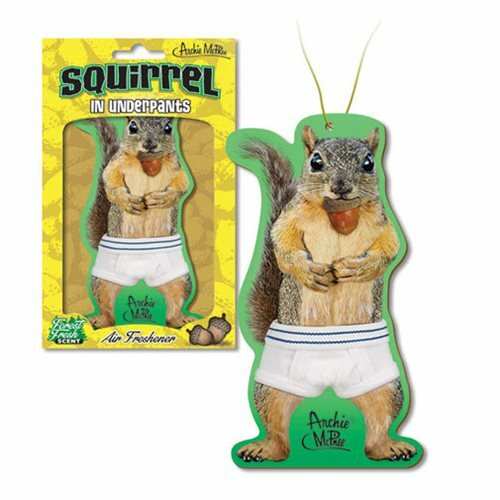 This Squirrel in Underpants Air Freshener comes in an illustrated cardboard sleeve and is 4 3/4-inches tall.